Chickpea is important as food and feed crop for farmers. The crop is also significant for generating income due toits high market demand. Guji Zone has potential of chickpea production, but the yield of chickpea is low due toabsence of improved seed and lack of knowledge on chickpea production. 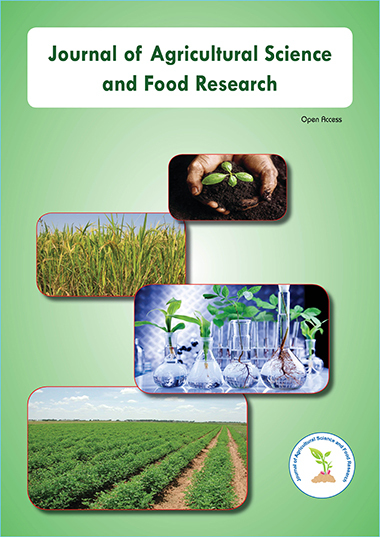 Thus, this study was instigated todemonstrate new varieties of chickpea to local farmers aligned to measure farmers’ knowledge on chickpeaproduction. To measure farmers’ knowledge on chickpea the issue of capacity building such as trainings, field visit,exchange visit and field days were organized to capacitate farmers’ knowledge on chickpea demonstrated varieties.36 items test were prepared on chickpea production and administrated to 24 farmers who were participants duringthe demonstration of chickpea on their land. Items contains yes or no, true or false and explain types. Each correctanswer was given ‘1’ score while wrong answer was awarded ‘0’ mark. Finally, 15 knowledge items test wereselected based on the difficulty index which ranges from 45 to 92, discrimination index above 0.20 and point bi-serialcorrelation coefficient significant at 0.1%, 0.05 and 0.001% level for final knowledge test. The reliability of theknowledge test was measured by split-half method and reliability coefficient (r=0.969) which indicates that thisknowledge test is quite reliable. The result of this study revealed that majority of farmers (83.33%) owned moderatelevel of knowledge on chickpea production. Farmers Training Center established in each Kebele should befunctioned to increase farmers’ knowledge on chickpea production.